Natural ingredients are in high demand in cosmetic formulations. As food science plays a big part in cosmetic formulation, it makes sense that food products are making a splash in cosmetics. Because of this trend, we are seeing a surge of herbal plant additives and spices in skincare products. Natural ingredients are in high demand in cosmetic formulations. As food science plays a big part in cosmetic formulation, it makes sense that food products are making a splash in cosmetics. Because of this trend, we are seeing a surge of herbal plant additives and spices in skincare products. Although many botanical additives are filled with vitamins, minerals and antioxidants, these ingredients do not always have the same effect when applied topically as they do when taken internally as a dietary supplement. Just because an herbal supplement has a certain effect when ingested, does not mean it will react the same on the skin, much less be absorbed in the same way or at the same rate. In fact, some natural plant additives are skin irritants. Allergic reactions and skin sensitization can occur when certain herbs are applied to the skin. Skin irritations can appear in the form of a rash, blotches and itching, and in some cases blisters may appear. 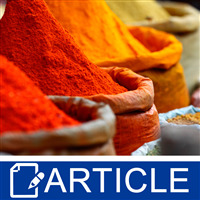 Natural product formulators should do their due diligence when selecting herbal additives for cosmetics products. This includes choosing botanicals with a history of use in skincare applications and including warnings to avoid applying these products to open wounds, cuts and abrasions. Sometimes, choosing a more diluted version of a botanical can help to minimize reactions. Rather than using pure essential oils or pure powdered plant material, these raw materials should be diluted to manageable levels. Most raw material suppliers offer safe usage rates and suggestions for proper use of individual raw materials. Diluted versions of botanicals can include tinctures, infusions, extracts, hydrosols and nature-identical compounds. When in doubt, check it out through research and verifiable means. After all, it’s your company and reputation on the line if the end user has a reaction to your product. Many herbal additives can impart a natural color to your formulations. 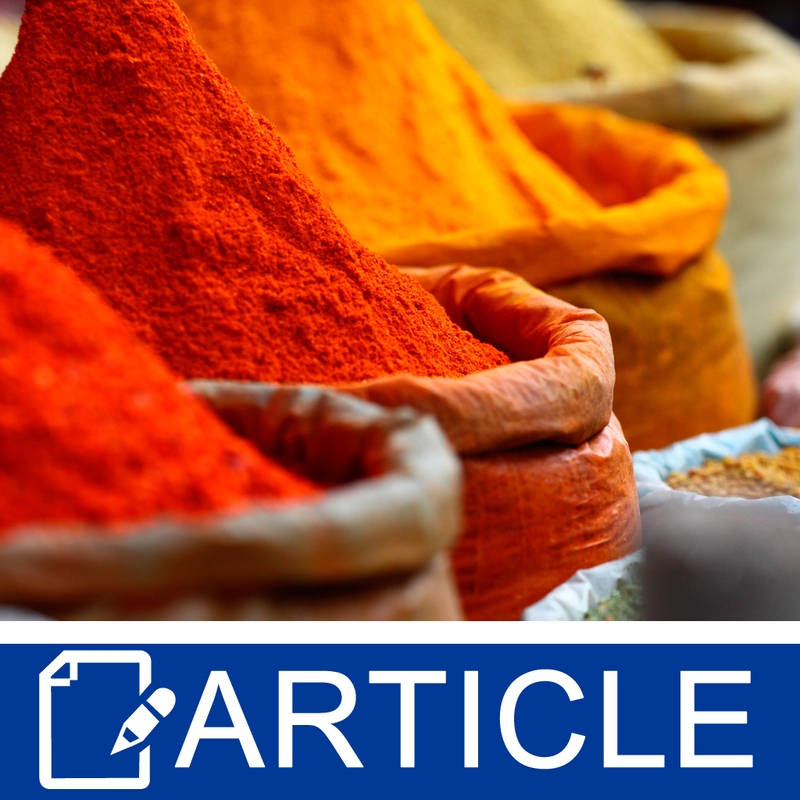 Although in many cases this is a bonus, the FDA does not currently recognize all herbal additives as colorants and therefore they cannot be listed as a colorant on your product label. You may list the herbal additive by its International Nomenclature of Cosmetics Ingredients (INCI) name since the inherent function is as an additive, not a colorant. Some botanicals are so good at imparting a color, that they will dye skin when used at nominal levels. Turmeric  and henna are good examples of these types of colorful botanicals. When formulating with any plant materials that affect the color of the product, be sure to test your upper and lower limits to determine if the botanical will affect product stability as well as skin color and the color of fabrics such as washcloths and towels. Some plants, in nature, have natural antimicrobial and antibacterial activity. Novice formulators should not rely on these items to preserve their finished products without challenge testing. There are several commercial preservatives on the market that do not contain controversial ingredients and many of these are acceptable for most any formulator. It is irresponsible to assume that a specific botanical or a combination of plant materials will preserve any formulation from bacterial and microbial growth. The proof is in the herbal pudding, so to speak, so back up any claims with proof via challenge testing. Just because an item exists in nature, does not mean it is acceptable for your cosmetics formulation. Toxicodendron radicans (poison ivy) is natural, but who wants it on their skin? It is possible to formulate a completely "botanical" product, however, compromises are required. These compromises include increased cost (due to product testing), decreased shelf-life, inconsistencies from batch to batch and other issues.